Suspend reality and let your imagination come alive. Mystery Manila teleported us to a world of adventure. Everything was well crafted to the smallest detail. Adrenaline pumped and brain cells worked overtime to try to solve the mystery within an hour or less. 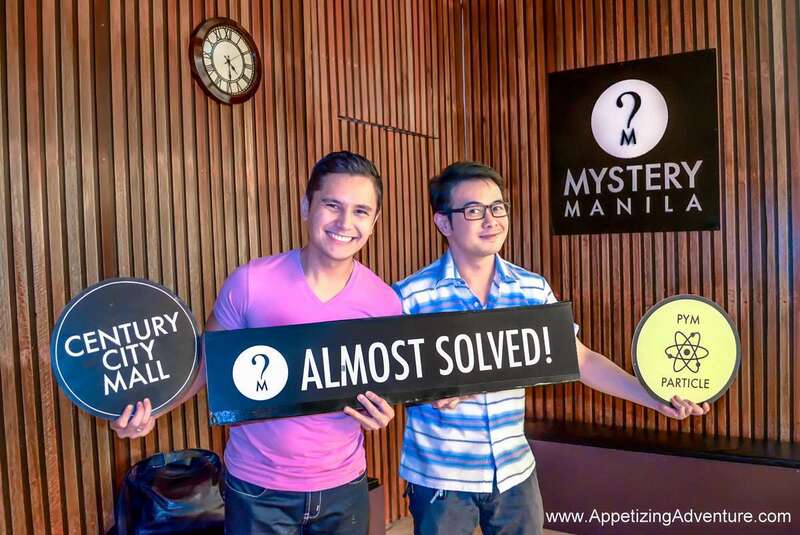 Each branch of Mystery Manila offers unique mysteries to be solved. At its branch in Century City Mall in Makati, we chose the Pym Particle Mystery. Enter the world of Antman. Only here, it’s up to you and your friends to save the day. The Pym Particle, when harnessed, allows you to manipulate atomic distances enabling you to shrink or expand objects. Some of the rooms are not the size we expected, which made it more fun. That’s all the details I’m allowed to disclose. After an hour, with all our wits combined, we did not find the Pym Particle. It was slightly frustrating. But the experience was well worth it. We almost solved it. We were this close. 1. There were only two of us. This adventure might’ve been easier if there were three or four in the group. 2. Ask for clues!!! The gamekeeper can provide clues and add five minutes from your total finishing time per clue given. We didn’t want to ask for clues hoping we could discover them on our own…until we were already running out of time. It’s ok to ask for clues early on, it will actually save you so much wasted effort. 3. Don’t do this after a big meal. So we just had a heavy lunch when we went to Mystery Manila and we were both sleepy. Our bodies were focused on digesting the food. We were sluggish, but pushed ourselves anyway to solve the mystery. Special reminder. It’s best that you book ahead of time. The activity is an hour long and when all rooms are booked or occupied, walk-in guests might have to wait a really long time. The First Live Escape Room Game in the Philippines. Mystery Manila is the first live escape game in the Philippines where your group is locked inside a room for 60 minutes and you have clues and puzzles to solve in order for your group to escape the room. We have several branches and themed mystery rooms to choose from (all unique from each other) and all are designed with elaborate puzzles for a group of 2 – 6 players.